THE Cultural Center of the Philippines announces the staging of the Virgin Labfest, a festival of new plays (untried, untested, unpublished and unstaged) by emerging and well-known playwrights to be held from June 27 to July 18, 2012 at the CCP Tanghalang Huseng Batute with 3pm and 8pm shows. 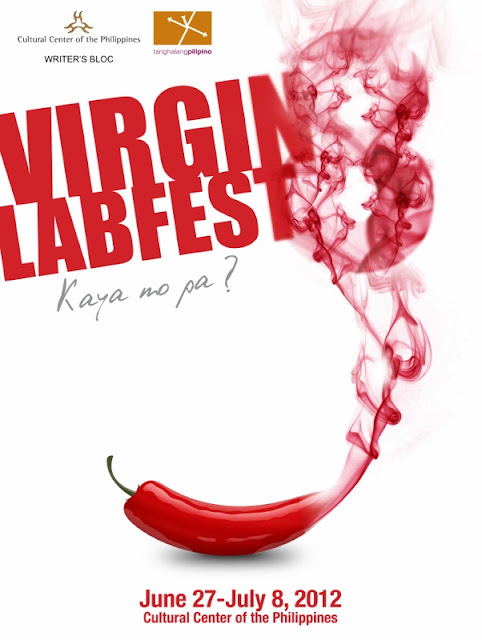 Virgin Labfest is a project of the CCP in cooperation with the Writer’s Bloc, Inc. and Tanghalang Pilipino. and the Full-Length Category: Totong Hilot by J. Dennis Teodosio.